Experiential learning is actually exactly what it sounds like, learning through experience. So it’s not really the NEXT big thing, since lots of things we already love – like summer camp and retreats! – fall into this category. Experiential learning is also about focusing on the individual who is learning and their experiences, instead of the group as a whole. That means push the desks aside, put aside the lecture notes and let your students engage with Judaism hands-on! There are many different ways that you can do this with your students that do not involve going on extensive nature hikes or buying expensive supplies. 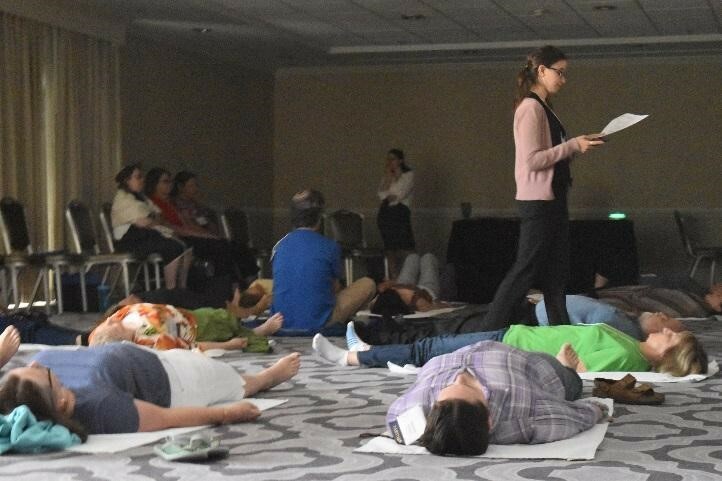 It can be as simple as leading a reJEWvenation meditation, where students get to practice the restorative powers of prayer. Instead of talking about how prayer can heal people or why or when people pray, show them! This is an easy, no supply activity that you can do almost anywhere at any time. Students will walk away with a better understanding of how prayer can be used in everyday life. This is just one way to bring a hands- on experience to your religious school in an easy, adaptable and manageable way. As you are setting your calendar for the year, don’t forget to make time for these kinds of experiences. If you are looking to bring more experiential learning programs to your school ask your Fellow about our life size board games, nature walks, and outside of the box Shabbat programs, we would be happy to bring them to you!